Super-luxury homes in Dubai are nine times cheaper than their luxury equivalents in Mon­aco, the world’s most expensive real estate market. According to a new report by the estate agent Savills, Dubai’s most upmarket properties rank 10th on a list of the world’s most expensive real estate markets. Savills found that ultra-prime house prices – defined as those bought or occupied by global billionaires – in Dubai stood at an average of Dh44,453 per sq ­metre. 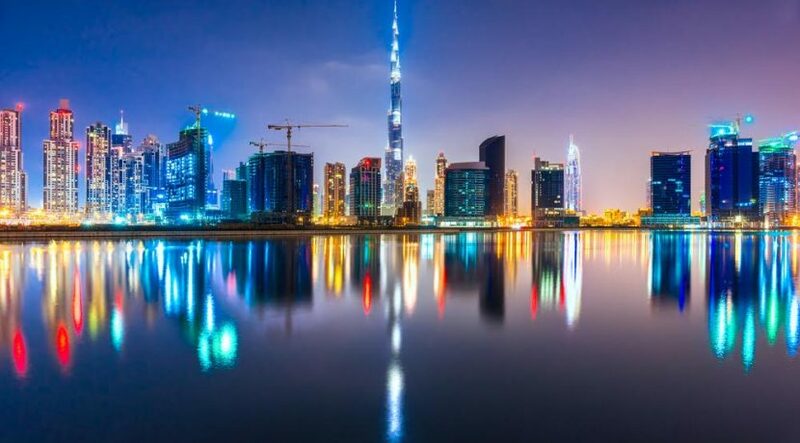 So called “prime” house prices – defined as homes bought or occupied by a regional chief executive or equivalent – in Dubai currently average out at Dh24,419 per square metre. 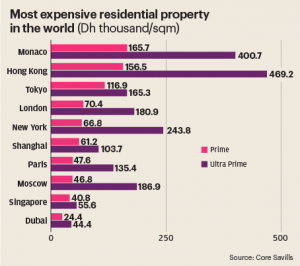 And it found by contrast that ultra-prime house prices in Monaco averaged out at Dh400,710 per sq metre – nine times more expensive than the Dubai equivalent. Prime house prices in the principality stood at an average of Dh165,729 per sq metre – nearly seven times more than those in Dubai. Hong Kong was the city with the second-highest prime house prices in the world, Savills calculated with an average of Dh156,521 per sq metre. However, Hong Kong came first in the ultra-prime category at Dh469,165. In the prime category, Tokyo came in third with an average price per sq metre of Dh116,890. Weakness in the pound resulting from Brexit meant that prime London property ranked fourth in the world at an average price per sq metre of Dh70,455. Savills said prime house prices in Shanghai had risen most steeply over the past decade, gaining 248 per cent. Meanwhile, Monaco prime property prices had increased by 180 per cent over the past decade. 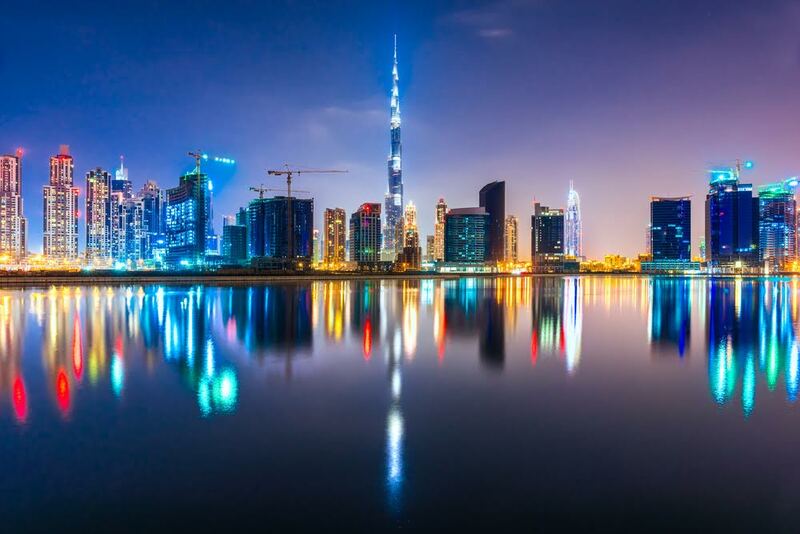 The property broker said the disparate nature of Dubai’s emerging property market meant it was difficult to provide a 10-year average growth figure for the prime sub-market. However, it calculated that house prices on the Palm Jumeirah had increased by a staggering 238 per cent on average over the past decade, while house prices in Dubai Marina rose 61 per cent over the same period. “Some developments [in Dubai] have outperformed top cities in the world,” said David Godchaux, the chief executive of Savills’ UAE associate Core Savills.